Excessive yawning, strong body odor — these are two ways you could become a target in TSA’s new secret program, which treats ordinary people like terrorists. Anyone who has recently traveled to Turkey can apparently be put on the list — as well as people “possibly affiliated” with someone on a terrorist watchlist (which contain more than a million names). The program is so slipshod that it has targeted at least one airline flight attendant and a federal law enforcement agent. After a person makes the Quiet Skies list, a TSA air marshal team is placed on his next flight. Marshals receive “a file containing a photo and basic information” and carefully note whether the suspect’s “appearance was different from information provided” — such as whether he has “gained weight,” is “balding” or “graying,” has a beard or “visible tattoos” (bad news for Juggalo fans of the Insane Clown Posse). Marshals record and report any “significant derogatory information” on suspects. TSA air marshals follow travelers targeted by this program, even writing down their license plates. Marshals must ascertain whether a “subject was abnormally aware of surroundings.” Does that include noticing the undercover G-men who are stalking them in the parking lot? No wonder the president of the Air Marshal Association, John Casaretti, considers the program unjustified. 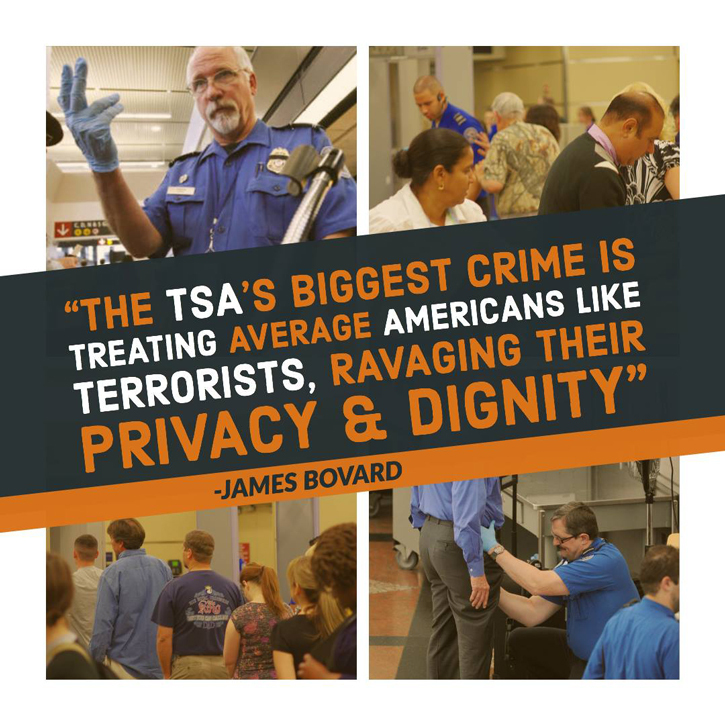 Unfortunately, Americans have no idea how many other secret profiling programs TSA is conducting. The New York Times recently revealed that TSA has a covert watchlist for troublesome passengers, including anyone whose behavior is “offensive” to TSA agents. Anyone who “loitered” near a TSA checkpoint could make that list, as could any woman who pushes a screener’s groping hands away from her breasts. In reality, anyone who refuses to kowtow to any command a TSA agent issues could be labeled a troublemaker. More than 30 TSA agents complained in 2012 that the behavior-detection program at Boston’s Logan International Airport had become a “a magnet for racial profiling, targeting not only Middle Easterners but also blacks, Hispanics and other minorities,” The Times reported. The agents relied on “terrorist profiles,” such as black guys wearing baseball caps backward or Hispanics traveling to Miami. In Honolulu, TSA agents were nicknamed “Mexicutioners” for harassing Mexican travelers, while TSA agents in Newark, New Jersey, were derided as “Mexican hunters” by their colleagues. TSA insisted the program was justified because agents watched for “unusual exposed wires or electrical switches on a person” seeking to board a plane. The agency assumes would-be terrorists are as boneheaded as TSA policymakers. This has not deterred the TSA from endlessly concocting lists of terrorist warning signs that fail the laugh test. To justify its $7.9 billion budget and its 43,000 federal screeners waiting to peruse shoes, belts and carry-on snacks, the TSA must continue the fable that every grandmother in a wheelchair and every child poses a dire threat that justifies endless pawing. After nearly 17 years of follies and floundering, TSA has forfeited its right to domineer the American people. James Bovard, author of Attention Deficit Democracy, is a member of USA TODAY’s Board of Contributors. Follow him on Twitter: @JimBovard. Well, I’m doomed. At least, if I’ve eaten Mexican food that day. But I admit the image of Federal marshals sniffing my farts strikes me as funny.